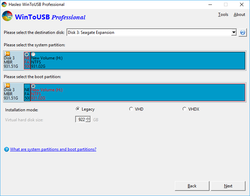 WinToUSB Professional 3.9 was available as a giveaway on April 16, 2018! How would you improve WinToUSB Professional 3.9? I downloaded this program and activated it. I had to clean install my Win7 Pro and began adding all my programs with their relevant keys. However this one responded with key being disabled. Hi I downloaded this program and activated it. I had to clean install my Win7 Pro and began adding all my programs with their relevant keys. However this one responded with key being disabled. Can you help. I tried a window 7 usb to win 10 pc and screwed up my system . Had to do a fresh install on the laptop. I installed this app on my old XP laptop - no probs registering etc. 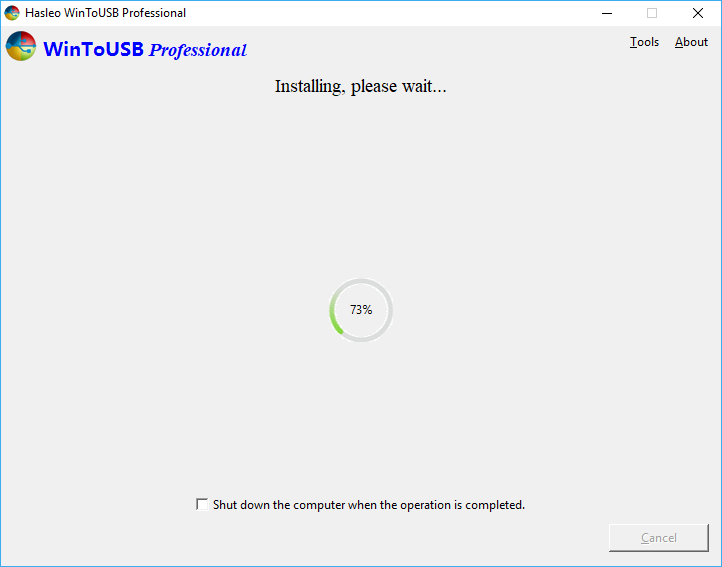 So now I can create portable win7 plus usb sticks - nice. I installed this app on my old XP laptop - no probs registering etc. So now I can create portable win7 plus usb sticks - nice. ray, not from an XP system you can't! You can use the top two buttons functionality the Physical To USB functionality requires the HOST OS to be windows 7 or above NOT XP. And even if it was a Windows 7 or above host you cannot buy USB "sticks" big enough to make a working or useful windows to go environment. You might be able to squeeze it into a 128G flash stick but yould be on a cruise for bruise as flash sticks fail catastrophically far sooner than proper SSD drives do, due to their less sophsticated controller chips not doing wear leveling or transparent ECC and by not having sufficient heat dissipation they often cook themselves on prolonged heavy use! It cannot be put on numerous computers from 1 single copy of the OS. If Microsoft did not make such WintoUSB feature possible in their OS, there must be a reason. Which may be anti-piracy related or profit oriented. Whatever it is, use with caution because it may affect your existing Windows OS that you have already installed and activated. Windows OS require activation. It cannot be put on numerous computers from 1 single copy of the OS. If Microsoft did not make such WintoUSB feature possible in their OS, there must be a reason. Which may be anti-piracy related or profit oriented. Whatever it is, use with caution because it may affect your existing Windows OS that you have already installed and activated. Downloaded, unzipped, installed... and won't launch, even as Admin, under Win10. Useful? Not so much. I have win 10 and 7 (=dual system) running on the same HDD. I would like to separate windows 7 from that hard drive and run it on an external USB drive instead, and use the existing hard drive solely for running windows 10 on it. Will this program allow me to do that? there is no spot to put key in 'about us ...there is no 'help' item anywhere ???? walt, Click on "About" in the upper right corner. The drop-down menu should have three options, one of which is to activate the programme. If you only have two options then it may already be registered (eg you might have already had an older version installed). Newbie question: I'm not sure what the purpose of this program is. Is it meant to be used when my computer breaks and won't boot up? Or is it for using Windows on another computer (and if so, why would I need to do this)? Or both? 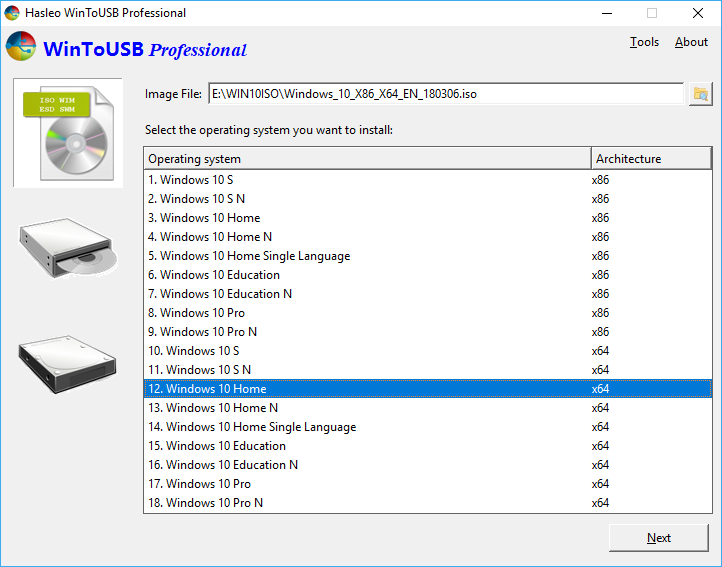 zipzap, The windows to go portion of this program is intended to make your customised windows environment portable ona USB drive, albeit a Magnetic USB drive or better still a SSD USB drive so you can take your desktop and transferable programs with you. It's an enhancement to the old concept of a WinPE boot drive and the concept of portable programs on a thumb drive. The reason this is better than what Microsoft provides is it opens up Non-enterprise and Windows 7 to the possibility of creating a windows to go environment when Microsoft standard restrictions limit the function to Windows 8 Enterprise or newer. Thanks for the explanation, TK! So it's not meant to be used as a "rescue disk" when my computer crashes and won't boot up? Thanks for the explanation, TK! So it's not meant to be used as a "rescue disk" when my computer crashes and won't boot up? zipzap, correct windows to go as designed by Microsoft is NOT intended as a rescue system since it is supposed to block access to the hosts hardwares local drives to ensure that there is no possibility of data leakage from the to go workspace onto the host fixed drives that will be left behind. As such we could not effect a repair to a broken host windows operating system. To create an offline windows repair system it is intended to be built from a WinPE environment with custom tools added like data recovery, boot failure repair and chkdsk and partition managment and offline system restore functionality. And not full blown workstation programs like office programs and email programs etc. Different products for different purposes. Also... I cannot register it. "Activate License" is missing. Can you help? Thanks. jpmalonesr, Yes. I wound up uninstalling it. Sometimes, though rare, it just doesn't work out for me in time. I have the same issue as #17, avod. It downloaded Win to HDD. 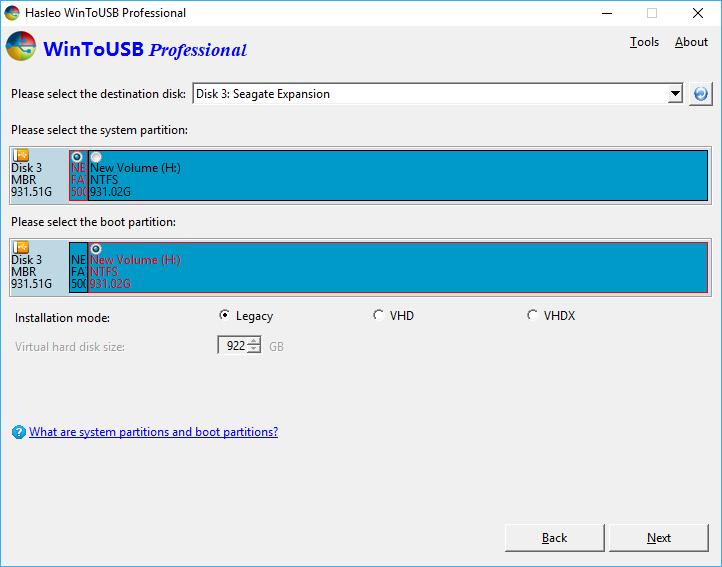 How do I get Win to USB instead? 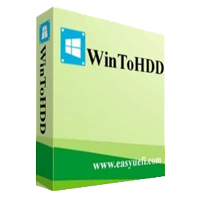 I downloaded the program from the link above, but instead of Win to USB, I downloaded Win to HDD. avod, from What above link? The giveaway Download Now link is definately for the WinToUSB program the Other Featured titiles by ... IS NOT THE GIVEAWAY! but an additional products by this vendor/developer listing. Great piece of S/W. Love to use it. hope this one has all the features. So can this offering be saved to flash drive to enable someone else's Operating Sys to be copied to USB, too? In other words would this enable me to run a copy of W10 or W8 on my W7 System? Is the offering given away on here, portable, just as my Ops sys would be? Not totally tech savvy when it comes to this kind of depth. So can this offering be saved to flash drive to enable someone else's Operating Sys to be copied to USB, too? In other words would this enable me to run a copy of W10 or W8 on my W7 System? Is the offering given away on here, portable, just as my Ops sys would be? Not totally tech savvy when it comes to this kind of depth. Thanks to Hasleo Software, https://www.easyuefi.com/wintousb, Giveawayoftheday.com and as always, our members who not only put these programs to the test but then take the time to tell the rest of us, the good, the bad and (say it with me) the ugly. 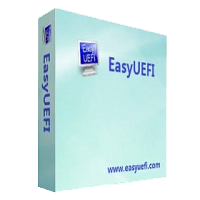 Downloaded and installed easily on Windows 10, 64 bit Pro. I've tried a couple times with Rufus and Windows to go and it 'seemed to be going good until I tried to use my flash dive. I feel it this time.... Thanks to Hasleo Software, https://www.easyuefi.com/wintousb, Giveawayoftheday.com and as always, our members who not only put these programs to the test but then take the time to tell the rest of us, the good, the bad and (say it with me) the ugly. John M, may I ask what brand of Flash Drive did you use? I have found SandDisk flash drives seem to have problems with all these kinds of programs. I am already a paid registered user of WinToUSB and WinToHDD (same company) and it doesn't seem to like SanDisk flash drives. Plus I am also a paid registered user of Novicorp WinToFlash Professional and it too has problems with SanDisk flash drives. Yet I have tried both these programs with other branded flash drives that I own such as A-RAM, Kingston and Lexar and all these flash drives worked without any issues with the above programs. I have tried a number of things like reformatting them and so on but still they will not work with either of these programs. So something must be different about them compared to the other flash drives that work? But I am unsure at this stage what it is. John M, may I ask what brand of Flash Drive did you use? I have found SandDisk flash drives seem to have problems with all these kinds of programs. I am already a paid registered user of WinToUSB and WinToHDD (same company) and it doesn't seem to like SanDisk flash drives. Plus I am also a paid registered user of Novicorp WinToFlash Professional and it too has problems with SanDisk flash drives. Yet I have tried both these programs with other branded flash drives that I own such as A-RAM, Kingston and Lexar and all these flash drives worked without any issues with the above programs. I have tried a number of things like reformatting them and so on but still they will not work with either of these programs. So something must be different about them compared to the other flash drives that work? But I am unsure at this stage what it is. Hi Erica, thanks for your reply. I checked my flash drives and the two I labeled were 8 GB SandDisk drives. I completed all the Rufus steps but when I insert both of them,, nothing happens. I can open them and see the files but I'm not sure what to do with them. I have a Kingston 32 GB Data Traveler and another SandDisk 32 GB FD but I thought it might be to big and a waste of space if you happen to see this. Thanks for your thoughts and thanks to our giveawayoftheday.com mods for passing them on. Hi Erica, thanks for your reply. I checked my flash drives and the two I labeled were 8 GB SandDisk drives. I completed all the Rufus steps but when I insert both of them,, nothing happens. I can open them and see the files but I'm not sure what to do with them. I have a Kingston 32 GB Data Traveler and another SandDisk 32 GB FD but I thought it might be to big and a waste of space if you happen to see this. Thanks for your thoughts and thanks to our giveawayoftheday.com mods for passing them on. John M, no worries and your welcome. You could always try backing up your Kingston flash drive and then trying that one? Also if you are using USB 3 ports try USB 2 to see if that makes a difference? The only other thing I can think of is try downloading a free copy of Novicorp WinToFlash Lite and see how you go with that. Erica, Thanks again, I like all three of those ideas. I have Panda Protection, which says this is a Potentially Unwanted Program, and immediately quarantines the exe when you try to run it. Some may need to temporarily disable their antivirus in order to install. Looks like a very useful giveaway though. Thanks! I have Panda Protection, which says this is a Potentially Unwanted Program, and immediately quarantines the exe when you try to run it. Some may need to temporarily disable their antivirus in order to install. Looks like a very useful giveaway though. Thanks! I'm actually lost. I open my ISO file on the C:/ drive, then choose my 3 terabyte USB drive for the destination. It tells me I have to check the boot drive and the only 2 drives listed is the USB drive. It wants me to check the boot drive, but I can't because the only two drives listed are my USB drive. I tried checking the radio button, which is only available on the second USB drive and the Next button stays gray. What am I doing wrong? Thanks for any help you can give. There are a lot of question under comments, and I wish the developer would answer some of them. You know they're checking the comments. Please developer, help with our questions. reghakr, might this be due to your USB drive being 3TB? try 2TB or less, it will probably work. reghakr, The problem might be that 3 terabyte flash drives don't actually exist. Sure, there are 2 tb flash drives on Amazon that are cheap, but those aren't actual 2 tb flash drives as a 2 tb flash drive would be very costly to purchase. Might want to download a program that can test to see if your flash drive is legit. thanks, there is a difference between a flash drive and my 3 terabyte drive. the terabyte drive is either USB2a or 3.0. Rebeldawg, thanks, there is a difference between a flash drive and my 3 terabyte drive. the terabyte drive is either USB2a or 3.0. Rebeldawg, Where did the OP say their 3TB drive was a "Flash" drive? All Flash memory sticks puporting to be 256G bytes or more priced at less than $0.25 per gigabyte are fakes, using hacked firmware to spoof report the fake size to the host machines drivers. But there are 2TByte SSD and I believe at least one brand of 4Tbyte SSD flash hard drives but they are expensive. And would take quite a while to even test to ensure they are genuine products fully populated with the correct flash memory chips. Also the OP said the program could only see the the USB drive and NOT the systems boot drive, so the problem was with the systems built-in drive recognition and NOT the 3TB USB drive. Rebeldawg, Where did the OP say their 3TB drive was a "Flash" drive? All Flash memory sticks puporting to be 256G bytes or more priced at less than $0.25 per gigabyte are fakes, using hacked firmware to spoof report the fake size to the host machines drivers. But there are 2TByte SSD and I believe at least one brand of 4Tbyte SSD flash hard drives but they are expensive. And would take quite a while to even test to ensure they are genuine products fully populated with the correct flash memory chips. Also the OP said the program could only see the the USB drive and NOT the systems boot drive, so the problem was with the systems built-in drive recognition and NOT the 3TB USB drive. reghakr, Sorry about that, I misread your comment earlier and mistook it as a usb flash drive instead of a usb hard drive. Installed and registered without problem. Very easy to use. Thank you to GOTD and Hasleo software for a very usefull program. Installed and registered without problem. Very easy to use. Thank you to GOTD and Hasleo software for a very usefull program. Marcus, I'd like to know also, I tried 16G USB drive with no success. Marcus, I have used a 128GB and a 256GB both worked without problem putting Windows 7 64bit on them. dotkgc, I noticed that too. XP was a good OS. The problem is that many softwares such as browsers and security suites don't work with XP anymore. dotkgc, The problem for XP is it uses a completely different booting procedure and has nothing in common with the windows to go production paradigm, one would have to re-invent XP and the to go system to make it work which would be seriously unprofitable even with 100million remaining users. Sorry. Create your own custom BartPE boot environment if you are desperate for some kind of portable offline XP operating system. dotkgc, The problem for XP is it uses a completely different booting procedure and has nothing in common with the windows to go production paradigm, one would have to re-invent XP and the to go system to make it work which would be seriously unprofitable even with 100million remaining users. Sorry. Create your own custom BartPE boot environment if you are desperate for some kind of portable offline XP operating system. and NOT Windows XP ? I would love to know why . TK, Hi TK . In the description of the product we see : System Requirements: Windows 2000/7/8/8.1/10 So , I believe that dotkgc wonders why Windows 2000 and NOT Windows XP ? I think that the same thing happened with the yesterdays giveaway . I would love to know why . 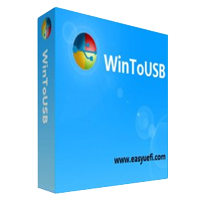 JEDIGEG, yes I saw that after posting my comment, but would like to point out that the WinToUSB "Physical to USB" operation only works on Windows 7 and above so does not work on Windows 2000, XP or even Vista... the only functions that work on Vista and presumably earlier are the creation of USB or CD windows Installation media which is of course not as exciting. For the interesting bit we should really consider this as only fully compatible with Windows 7 and above, whilst it may install on earlier versions of windows it is NOT fully functional on them. 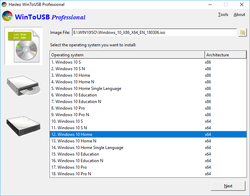 JEDIGEG, yes I saw that after posting my comment, but would like to point out that the WinToUSB "Physical to USB" operation only works on Windows 7 and above so does not work on Windows 2000, XP or even Vista... the only functions that work on Vista and presumably earlier are the creation of USB or CD windows Installation media which is of course not as exciting. For the interesting bit we should really consider this as only fully compatible with Windows 7 and above, whilst it may install on earlier versions of windows it is NOT fully functional on them. WELL you got to my point before I did.........with still over 100 MILLION XP users, and the fact I'll NEVER go up to the MORONIC MS choices, it would seem that at least some software gurus would keep XP in mind. And if it doe MS2000, WHY not XP.? IF I ever have to change........it WON'T be to MS Crap. TK, thank you very much for the info . for the previous giveaways . before I decide to download or not the giveaway . TK, thank you very much for the info . Also I would like to thank you for all your previous comments for the previous giveaways . They are always helpful and to the point and always look for them before I decide to download or not the giveaway . I agree with your comment . I will NEVER go to Windows 10 .
to stop supporting it real soon . asking for the user permission . iwontell, Hi . I agree with your comment . I will NEVER go to Windows 10 . I was thinking to upgrade to Windows 7 , but then I've read that they are planning to stop supporting it real soon . Also I've read to many articles on how invasive the MS updates are in order to bring Win 7 "closer" to Win 10 , WITHOUT asking for the user permission . So , thanks but NO thanks ... I am seriously considering to take the UBUNTU way . JohnL, on the same single seat license model the host single user operating system is licensed as I'd presume. Note Windows Enterprise users are in a better position as if you have software assurance you should be okay, even for your home computer, but wouldn't need this software. TK, do I assume you're saying you'd need a separate license for it, as that's what I suspect except it isn't something Microsoft support, so who knows. You certainly can't, for example, make a VM out of your Win10 desktop without getting another license. See: https://www.microsoft.com/en-us/Useterms/Retail/Windows/10/UseTerms_Retail_Windows_10_English.htm License is just for one instance... Note Windows Enterprise users are in a better position as if you have software assurance you should be okay, even for your home computer, but wouldn't need this software. 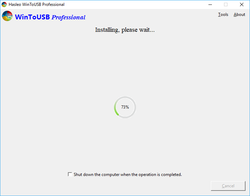 JohnL, That's an interesting thread.... Not having a spare HD in a USB enclosure to try and build a to go BYOD work space I cannot test it and I suspect the way I have windows 10 configured it would not be compatible with the to go build process but hope to try at some point but I suspect it's licensing requirements and tests are quite lax not being tied to a specific hardware configuration... I'd suspect it was really done in the same manner as a WinPE environment (No activation requirement at all) but they don't want to publicise it as then everyone would install a non-activated Enterprise edition of windows 10 and create a to go workspace and use that in place of buying any real licenses. Installed fine on my 7SP1, there isn't any setting to set. I think it would be better if one could clone system with some restriction and omissions to keep some privacy off the USB. Installed fine on my 7SP1, there isn't any setting to set. I think it would be better if one could clone system with some restriction and omissions to keep some privacy off the USB. adif, It does the job , and you can use hiren boot cd to enter your computer bypassing the o.s. Eddie, please be aware that if you use a Live CD based upon XP like Hirens or BartPE and you make ANY changes to that harddrive and it's host windows is Vista or above and WAS protected by Vistas or above System Restore that the XP based PE is unaware of Vista and above Volume Shadowcopy Service protection and will in fact corrupt the VSS store making system restore at best unworkable and at worst apparently functional but capable of corrupting the drives data in a near random manner. The similar happens when using a linux LiveCD except the Linux LiveCD will not touch the VSS store but will let you change the drive making the System Restore system inconsistent. TK, Sorry I don' t understand the technical of your comment , but I am using this method for backup for a long time , now for win7 ( bypassing the o.s.) with no trouble . Eddie, I am replying to the comment on using Hirens or BartPE which are XP based PE enviroments to access a win vista or above computer system NOT your comment about using Norton Ghost to clone backup a system. Also if you are using Norton Ghost it is likely that you do not also use System Restore as recovery system so in which case you would not notice any problems. Thanks a lot! This is really great, and a true giveaway. Thanks also to the developer for giving us a chance to use this software. Doc, this tool is for creating a Windows To Go boot drive, not a setup drive, like that Microsoft tool. As far as I know, Microsoft doesn't make a tool to do this: you just have to manually set it all up. Doc, As afr as I understand it... Microsoft restricts authorized windows to go creation to Windows 8 Enterprise and above and that download you link to does not mention windows to go as it's doing something different. 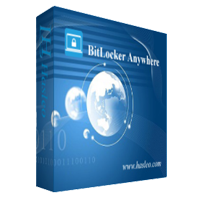 Allegedly this tool opens up windows to go production to a whole new range of windows versions and editions. Doc, As afr as I understand it... Microsoft restricts authorized windows to go creation to Windows 8 Enterprise and above and that download you link to does not mention windows to go as it's doing something different. Allegedly this tool opens up windows to go production to a whole new range of windows versions and editions. I have only downloaded the program not tried it as yet but from what i have been reading it sounds good if it works as is written but to now what i most like it comes with its own serial thats great means you can reinstall if need be plus it seems to be portable as well. Thanks to all for the offer . I have only downloaded the program not tried it as yet but from what i have been reading it sounds good if it works as is written but to now what i most like it comes with its own serial thats great means you can reinstall if need be plus it seems to be portable as well. Thanks to all for the offer .